No. 15 Penn State (11-4-4) will be playing for the Big Ten women’s soccer championship after a 1-0, double overtime win against No. 9 Ohio State Friday afternoon at Grand Park in Westfield, Ind. 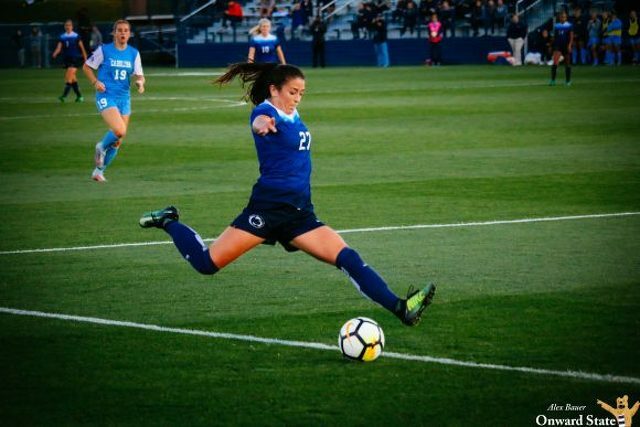 Much like the Nittany Lions’ previous match against Rutgers, neither team found the back of the net in regulation, leading to two overtime periods before Laura Freigang’s last-minute goal gave Penn State the win. Penn State dominated the offensive zone throughout the match, launching seven shots in the first half and 14 in the second for a grand total of 21 shots in regulation. Ohio State couldn’t even muster a shot in the first half and only got two shots off in the second. However, great goalkeeping from Ohio State’s Devon Kerr and aggressive defense from the Buckeyes kept Penn State from converting its chances. Overtime came as a boon for the Buckeyes. A tired Penn State team, exhausted and frustrated after being unable to score in regulation despite their hustle and massive lead in shots, saw itself under more pressure than it was used to. Penn State once again was unable to convert on their first two overtime shots. Just as the second overtime period was ending, the Nittany Lions broke into the Ohio State zone. In the closing seconds, midfielder Salina Williford found Freigang for a strike into the lower left of the goal just past Kerr. Not only did she score the game-winning goal, but Freigang was the catalyst of Penn State’s offense all day, leading the team in shots with 6. The Nittany Lions face Northwestern in the Big Ten Championship at 2 p.m. ET on Sunday. 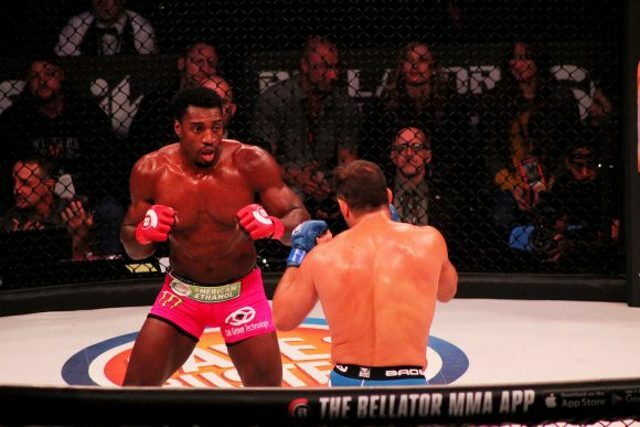 Penn State wrestling alumni Phil Davis and Ed Ruth picked up victories in their respective fights as part of Bellator 186 at the Bryce Jordan Center on Friday night.